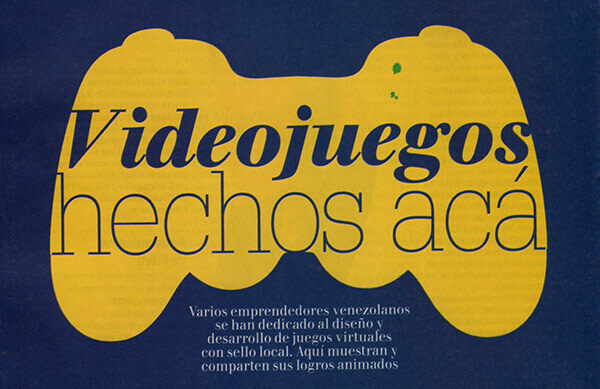 This is a story that got published in the Todo en Domingo magazine, a country-wide circulation inside the El Nacional newspaper, about game development in Venezuela. This story includes interviews with José Rafael Marcano, the La Cosa Entertainment team (winners of the 2012 Square-Enix gamedev contest), 4Geeks, and myself. Click on the image above to download the PDF. Thanks to Daniela Dávila for the conversation.